In its tenth year as a progressive non-governmental advocacy-based organization, the Philippine Center for Entrepreneurship, Inc. (Go Negosyo) is organizing the Magandang Business Advice (MBA): Digital Marketing on July 10, 2015 at the RFM Auditorium, RFM Corporate Center, Pioneer corner Sheridan Sts., Mandaluyong City. Since access to information anytime and anywhere is becoming easier making Digital Marketing a more relevant topic. Dr. Donald Patrick Lim, Chief Digital Officer of ABS-CBN and considered one of the founding fathers of digital marketing here in the country will be invited to share how it is taking the country to a storm and its relevance and importance to businesses both big and small. Considered one of the founding fathers of digital marketing in the Philippines, Donald has been awarded the Digital Marketer of the Year at the Asian Leadership Awards in Dubai, UAE by the Asian Confederation of Business, the Young Market Masters Award in Online Marketing by Mansmith and Fielders, an honorary Certified eMarketing Consultant title by the eMarketing Standards Board of Australia, and is the first recipient of the Digital Leader of the Future award conferred at the World Brand Congress in Mumbai, India. Most recently, he is the first awardee of the Agora Award for Marketing Communications by the Philippine Marketing Association, and a 2015 Young Global Leader conferred by the World Economic Forum. Inclusions: One (1) GoNegosyo book and Certificate of Completion. **EARLY BIRD & STUDENTS/TEACHERS RATE: Those who will pay on or before June 26 will only pay One Thousand and Two Hundred Pesos (P1200.00). Students and teachers (with valid ID) are also entitled to a discounted rate of One Thousand and Two Hundred Pesos (P1200.00). For Organizations & Institutions: Fill up the Confirmation Slip then fax (02 6388489 or email (gonegosyoacademy.pce@gmail.com) together with the deposit slip. After pre-registering, interested participants may already proceed with the payment. ACCOUNT NAME-Philippine Center for Entrepreneurship Foundation Inc. Refunds will be honored if we received a written notice of cancellation 30 days prior to the event and must be emailed at gonegosyoacademy.pce@gmail.com. Cancellation received less than 30 days prior to the event will be charged 20% of the total learning investment fee while those received one (1) week prior will be charged 50%. Refund is unacceptable made for cancellations after the stated deadline. Substitution is possible but only upon the advice of the original attendee. The original participant can email the details of the representative. To verify slot, kindly email a scanned or photographed copy of the deposit slip to gonegosyoacademy.pce@gmail.com. Please bring your deposit slip at the registration booth on the day of the event as a proof of payment. For questions and clarifications, you may contact Go Negosyo at 02 6379229 or 02 6318101 loc 7106 and look for Beth Calde, or you may email gonegosyoacademy.pce@gmail.com. It shall be a four-hour training on the basics of franchising. This learning opportunity is intended for aspiring entrepreneurs who are eyeing to get a franchise business and practicing entrepreneurs who would like to convert their businesses into a potential franchise. Learn how certain brands started small and now invading international market. 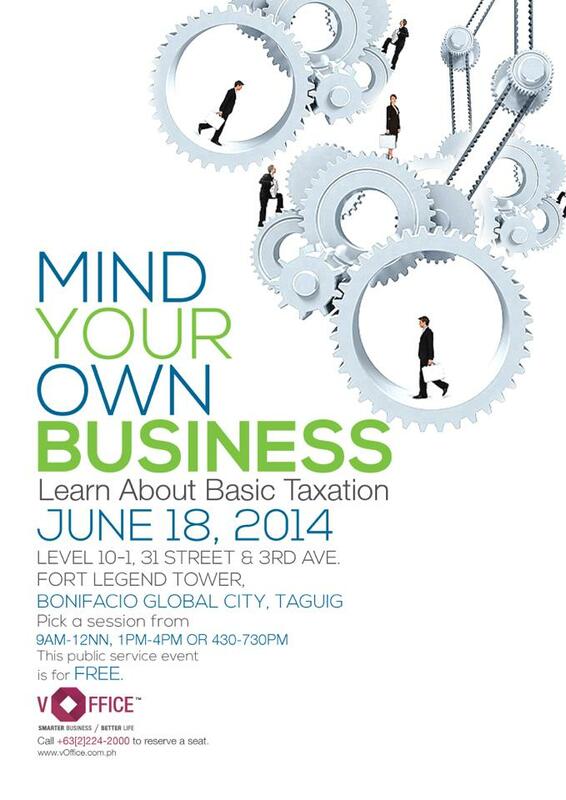 Mr. Bartolome or Butz is the acclaimed “FRANCHISE GURU OF THE PHILIPPINES” and “BUSINESS MENTOR”. This title was given to him by the many clients and people he has encouraged and mentored on franchising. Rightfully, he is the Franchise Guru as he has given over 175 seminars on franchising all over the Philippines, in Asia, in North America and the Middle East. Butz is a seasoned franchise expert with 36 years’ experience. He started his foray into franchising in 1978 with Shakey’s Philippines. After one year, he was assigned to Shakey’s Asia in Singapore. Finally, he was absorbed by Shakey’s International as Regional Operations Manager setting up franchise branches in Asia and in the Middle East for six (6) years. Mr. Bartolome, is the President of GMB Franchise Developers. This is the first company in the Philippines specializing in franchise development. He established this company with his wife Lyndah. For 21 years, GMB Franchise Developers has assisted over 320 companies in using franchising as their route to expansion and growth. His business is product of word of mouth as clients referred their fellow entrepreneurs to him. To name a few, Goto King, Lots a Pizza, Kodak Express, Super Bowl of China, Fiorgelato, Mr. Softy, Godiva, Holy Kettle Corn, Bayad Center of Meralco and most recently, San Miguel Foods. His company’s vision presently is not only expansion of these companies in the Philippines but also internationally like Figaro Coffee Company, Ginger Snaps and Surex. Mr. Bartolome is also the Chairman and founding member of AFFI. Mr. Bartolome is also the Chairman of the Board, Past President and Founding Member of the Association of Filipino Franchisers, Inc. (AFFI Empowering Entrepreneurs). He also writes in the Entrepreneur Magazine on Franchising and ABS-CBN as “The Business Mentor”. His life is completely dedicated to franchising and his joy and fulfillment is not only to grow companies thru franchising but more importantly to multiply the number of franchisees successful in their chosen franchise. Learning fee is One Thousand Five Hundred Pesos Only (P1,500.00) to include one (1) Go Negosyo book and a Certificate of Completion. For registration assistance and for your other inquiry, contact Gianina Napo, Programs Development Officer through (02) 637-9229. Reminder: As proof of payment kindly email a copy of the deposit slip to gonegosyoacademy.pce@gmail.com with the SUBJECT: MBA FRACHISING/APRIL22(Last Name First Name). Please bring your deposit slip at the registration booth on the day of the event. Market-Driving Strategy, Business Model Map & Insighting. 1. Fill up the Confirmation Slip then fax (02 6377873 or email (gonegosyoacademy.pce@gmail.com) together with the deposit slip. Payment is made through bank deposit. All participants are required to write in their deposit slips the phrase “For MBA Marketing” below the stated amount before making the deposit. Reminder: As proof of payment, please present your deposit slip at the registration booth. 02 6379229 or 02 6318101 loc 7106 and look for Gianina Napo, or you may email gonegosyoacademy.pce@gmail.com. Watch S.M.E. Go Powered by Go Negosyo! S.M.E. Go Powered by Go Negosyo takes on a new adventure with our new host, Go Negosyo Angelpreneur, Mr. Michael Angelo Lobrin. Drizzle your day with inspiration and practical tips that may help you, as you create your own entrepreneurial story. Entrepreneurship necessitates humility to accept your limitations. Adding to that is the winning attitude of knowing how to recognize the strengths of others to complement your weaknesses and making it work together. And today, we’ll be inspired by an entrepreneur whose success story best attests this positive traits. Also, we’ll go around the metro to check out the latest events that Go Negosyo and our fellow enablers are up to. All these and more, only on S.M.E. Go Powered by Go Negosyo this Tuesday (June 17, 2014), 7:00 to 8:00 PM on PTV 4. A four-hour training on the basics of franchising. This learning opportunity is intended for aspiring entrepreneurs who are eyeing to get a franchise business and practicing entrepreneurs who would like to convert their businesses into a potential franchise. Learn how certain brands started small and now invading international market. Mentor/Moderator: Armando O. Bartolome is the president of GMB Franchise Developers Inc, a pioneer franchise development company established since 1993. The company has assisted numerous entrepreneurs whose brand names are now known in the country. Some of these brands are like Generika Drugstore, Gingersnaps, Fiorgelato Ice Cream, Laybare, Lots A Pizza, Bayad Center of Meralco, Mang Inasal, Brothers Burger, Ahead Tutorial and Review Center, Freska Ilonggo Seafood, Julies Bakeshop and a host of 326 other brands. The many clients he mentored dubbed him as the Philippines’ Franchise Guru. He is one of the chosen Angelpreneurs of Go Negosyo. The Guru is also the resident consultant writer of Entrepreneur Magazine. Bartolome’s latest book “Is Franchising For You?” is a guidebook with numerous steps to help people wanting to invest the right way in a franchise business. Initially the book was only available during his speaking engagements. Today the book is available in Amazon and iTunes. Limited copies may be purchased during this speaking engagement. He has a regular weekly column “Franguru Speaks” every Monday in Business Mirror. Those who will pay on or before May 30 will only pay One Thousand and Two Hundred Pesos (P1200.00). Students and teachers (with valid ID) are also entitled to a discounted rate of One Thousand and Two Hundred Pesos (P1200.00). Armando O. Bartolome is the president of GMB Franchise Developers Inc, a pioneer franchise development company established since 1993. The company has assisted numerous entrepreneurs whose brand names are now known in the country. Some of these brands are like Generika Drugstore, Gingersnaps, Fiorgelato Ice Cream, Laybare, Lots A Pizza, Bayad Center of Meralco, Mang Inasal, Brothers Burger, Ahead Tutorial and Review Center, Freska Ilonggo Seafood, Julies Bakeshop and a host of 326 other brands. Learning fee is One Thousand Five Hundred Pesos Only (P1,500.00) to include one (1) GoNegosyo book (8 Simple Secrets of Raising Entrepreneurs or 21 Steps to Start Your Own Business), and a Certificate of Completion. ο Refunds will be honored if we received a written notice of cancellation 30 days prior to the event and must be emailed at gonegosyoacademy.pce@gmail.com. ο Cancellation received less than 30 days prior to the event will be charged 20% of the total learning investment fee while those received one (1) week prior will be charged 50%. ο Refund is unacceptable made for cancellations after the stated deadline. ο Substitution is possible but only upon the advice of the original attendee. The original participant can email the details of the representative. ο Reminder: As proof of payment, please present your deposit slip at the registration booth. Parking: There is parking for TOSP guests behind the RFM building. There is a gate located beside 7-Eleven or you can turn right on Sheridan St. and you’ll find the parking entrance on the left side.